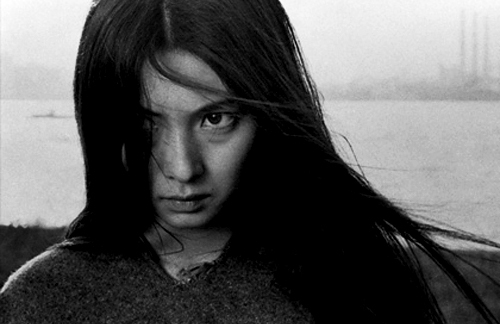 Meiko Kaji, the eternal outcast. SOoooo….. I have been watching Winter Season episodes but really haven’t seen anything that was so exciting that I felt I needed to write about it right away. 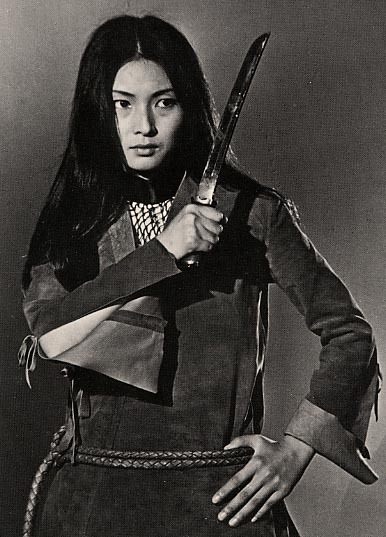 Nothing was anywhere near as awesome as the supreme outcast, Ms. Meiko Kaji, so I’m linking up some of her videos instead. Heh, heh. I’ll probably have a couple of first impression posts after watching three episodes alá the traditional “taste test”. Until then (or the next episode of Chihayafuru), enjoy some Enka instead. 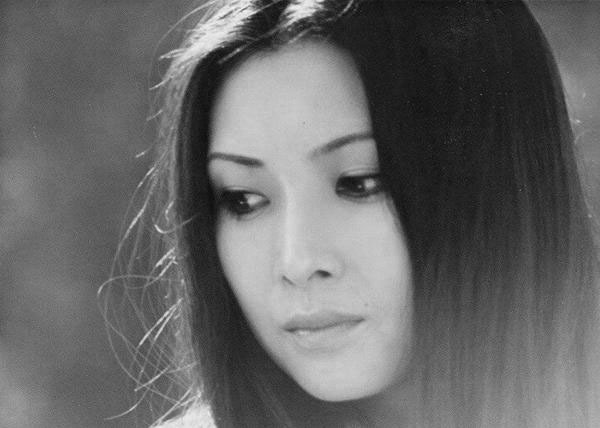 Meiko Kaji, actress and Enka singer. Like some of the best Enka, this song is just heartbreaking. Yadokari means hermit crab, and in it, Meiko sings about how her life is like that of a hermit crab after the death of her lover. This one is pretty cool, because it is a great song “Urami Bushi” (My Grudge Blues) with footage from Meiko Kaji’s TV series, Female Prisoner #701: Scorpion. Warning: contains violence. Here is an English translation of the lyrics, btw. Unfortunately I couldn’t find a translation of the lyrics for this song. “Fute Bushi” apparently is translated as Sulky Song. It originally appeared on her Poems of the Outcast record (Hajiki Uta). I love the vintage distortion on the guitar. 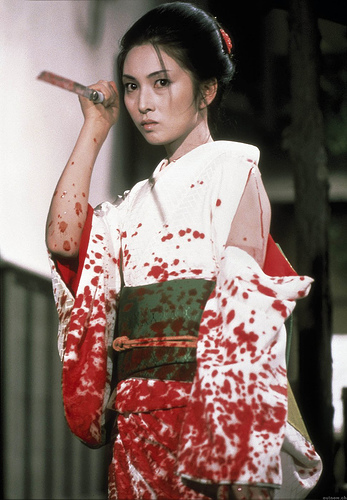 Meiko Kaji as Yuki (Lady Snowblood). I got into a coupe of fights in middle school, but never a knife fight. I guess I had it easy.